Last week I shared an article originally published in Politico, an American political newspaper, about American public relations firms’ forays into Nigeria’s electioneering in this election season. 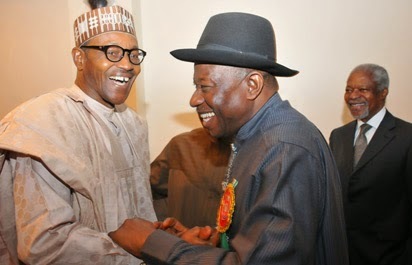 The article showed that both the opposition APC and the ruling PDP have deployed, or continue to deploy, the services of well-known American political public relations firms to sway voters in Nigeria. APC has used (perhaps still uses) the services of AKPD Message and Media, a political consulting firm owned by former Obama campaign manager David Axelrod. PDP has also used (perhaps still uses) the Potomac Square Group, another well-known consulting firm headed by Joseph Trippi, who managed Howard Dean’s failed presidential bid in 2004. Many public relations practitioners in Nigeria have been quick to dismiss Nigerian politicians’ newfound fascination with American political consulting firms in this year’s election as the product of an inferiority complex. I think that is simplistic. 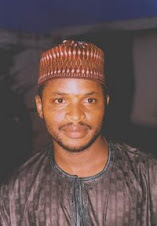 Nigeria’s political public relations is crude, vulgar, and intellectually impoverished. No one who desires to change hearts and minds of people should rely on it. Nigeria’s brand of political public relations, for the most part, does no more than attract enemies, scare away potential converts, and ossify negative opinions about candidates. It consists in barbarous, impulsive, sophomoric insults against real and imagined political opponents—and cloying, hagiographic defense of principals. It lacks nuance, is childish, and seems unconcerned with logic and persuasion. The performance of Reuben Abati and Doyin Okupe (who in fact describes himself as an “attack lion”)—and several others before them—in the defense of their boss and the demonization of their boss’ real and imagined political enemies is a classic example of the kind of primitive political public relations that holds sway in Nigeria. In this kind of political public relations, not only “political enemies” come under heavy fire; facts, truth, and logic also become casualties. I was a victim of this primitive public relations a few weeks ago. In response to my article on Vice President Namadi Sambo’s unprecedentedly bigoted claim on national television that the PDP is Nigeria’s Muslim party, even when he can’t recite the most recited verse in his putative religion’s holy book, his media aides chose to launch laughably childish personal attacks on me under a false name. In doing so, they betrayed ignorance about who I am and what I do. For instance, they said I am Nupe, which I am not. I am Baatonu. I have made countless references to my Baatonu ethnic identity in several of my articles. They said I’m a “grammar journalist” (whatever the heck that means) who veered into political commentary because I wanted to be noticed by APC and rewarded with a political appointment if APC wins the presidential election. Well, I have been writing political commentaries for more than a decade and at least six years before I started my grammar column. Many people who read the attacks on me by the VP’s media aides told me they laughed out loud at the downright incompetence the write-up betrays. I also did. I didn’t read it beyond the first few paragraphs. An opportunity to persuade me—and several others— that the VP didn’t mean what I interpreted him to mean was wasted in puerile, uninformed abuse that ended up betraying the writer’s ignorance and hardening people’s opinion about the VP’s bigotry and ineptitude. Persuasion scholars also tell us that human attitudes toward persuasive messages often fall under one of three latitudes: latitude of acceptance, latitude of rejection, and latitude of noncommitment. Research has shown that when people judge a new message to be within their latitude of rejection (such as telling a Buhari enthusiast that his candidate can’t be president because he is old or has no school certificate), they are impossible to persuade. Attempts to persuade them often leads to what social judgment theorists call the boomerang effect, where individuals are driven away from, rather than drawn to, the positions their persuaders want them to occupy. Persuasion is often a gradual process consisting of small changes at a time. Crude insults don’t persuade; they only lead to a boomerang effect. American public relations experts know this and have applied it in their management of Buhari. The phenomenal widening of the support base of General Buhari this year is proof of this. 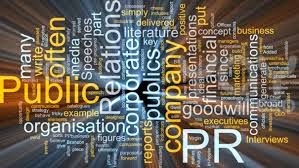 If Nigerian political public relations practitioners want to remain relevant in today’s Nigeria, especially in light of the forays of American PR practitioners into Nigeria, they have to learn that public relations isn’t about bribing Op Ed editors of newspapers and planting coarse, vulgar abuses against perceived political opponents.